﻿ Cristiano Ronaldo: "I answer fans booing by playing in the pitch"
03.09.2011 » Cristiano Ronaldo: "I answer fans booing by playing in the pitch"
Those who watched last night match, between Cyprus and Portugal, witnessed a particular phenomenon that can be hard to understand. 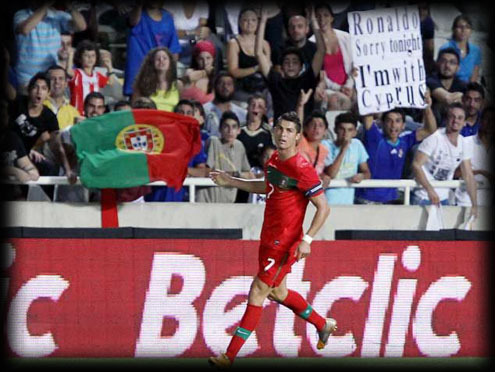 During the entire game, Cypriot fans booed Cristiano Ronaldo and shouted Lionel Messi chants to provoke CR7. After the game, Ronaldo was categorical: "I answer those fans booing with my game, in the pitch". It's not exactly a surprise to notice how hostile some fans continue being towards Cristiano Ronaldo, across several stadium around the World. The Portuguese super star status definately causes a love/hate feeling among all football fans and no one is indifferent to him. Last night in Cyprus, the fear and pettiness of some fans was reflected on the way they decided to provoke Cristiano Ronaldo. The usual booing don't seem to have an efficient effect on Cristiano Ronaldo's performance anymore, so a few Cypriot fans decided to attempt to instigate the Portuguese player by chanting Lionel Messi's name. 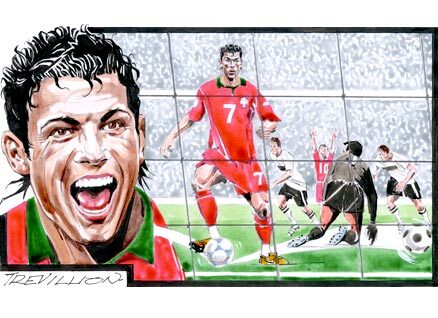 A few years ago, Nike launched a campaign that suits and reflects perfectly the feeling football fans demonstrate towards Ronaldo. The video title is: "Cristiano Ronaldo - Love him or hate him" and it does seem to completely apply to reality. Cristiano Ronaldo was also quoted in the past with a statement that pretty much says it all: "Your love makes me strong, your hate makes me unstoppable." In the post-match flash interview, Cristiano Ronaldo commented the booing and insults from the fans in the crowd in Cyprus: "I make those kind of fans shut up all year long. My answer is given by playing on the field." said Ronaldo to the Portuguese media "RTPN". 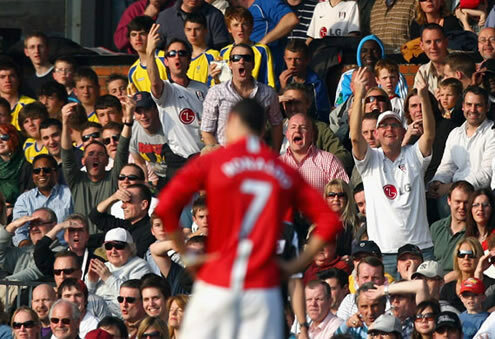 This clearly shows that this sort of provocations don't destabilize him at all, since that's something he got used over time, coming back from his adventure in Manchester United and that famous incident with Wayne Rooney, in the Germany World Cup 2006, which ended by leading to a lot of hate towards CR7. Cristiano Ronaldo also commented Ricardo Carvalho's incident, that took place earlier this week, when the Portuguese defender decided to leave the team's camp without permission, appearently because he felt mistreated and disrespected for not being a regular choice anymore. Cristiano Ronaldo, being the new Portugal captain, shielded his teammate saying that the players won't take any public stance on that case. However, Ronaldo says that no one is above rules and there are no "sacred cows" in the Portuguese National Team, meaning that everyone must train hard and proove they can help and be a valid choice. Cristiano Ronaldo: "Everything that happened earlier this week is past already and our coach Paulo Bento already approached that subject this Thursday. 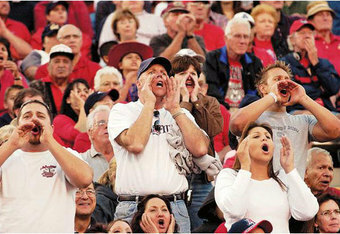 What me or my other teammates think about this incident, will remain to ourselves and not for the press." Then Ronaldo made a note on the warning that Paulo Bento left on his statements, regarding the need for everyone to be aware that being called for the Portuguese National Team is a privilege and no one is "untouchable". Cristiano Ronaldo: "What Paulo Bento said applies to me or Pepe for example. It wasn't a message exclusively for Ricardo Carvalho, but for everyone." Portugal beat Cyprus by 0-4, in a game for the Euro 2012 Qualififying stage. Real Madrid next game in La Liga will take place in the 10th of September, against Getafe, in the Santiago Bernabeu. You can watch Juventus live stream, Real Madrid vs Getafe live streams next Saturday (10-09-2011) and Cristiano Ronaldo playing, inside our Live Games Streams section. The countdown clock timer, displaying the time left for the next Ronaldo game, is shown on the top right corner of all pages.